Staging impact on homes - The National Association of Realtors surveyed their members & released the findings of their Annual Profile of Home Staging. Consistent findings show that homeownership does make a significant positive impact on educational achievement. Several researchers have found that homeowners tend to be more involved in their communities than renters. We believe every family should feel confident when buying or selling a home. The information contained, and the opinions expressed, in this article are not intended to be construed as investment advice. Keeping Current Matters, Inc. does not guarantee or warrant the accuracy or completeness of the information or opinions contained herein. Nothing herein should be construed as investment advice. You should always conduct your own research and due diligence and obtain professional advice before making any investment decision. RJ Daley & Daley PLLC - DBA Luxury Valley Homes Desert Ridge AZ will not be liable for any loss or damage caused by your reliance on the information or opinions contained herein. 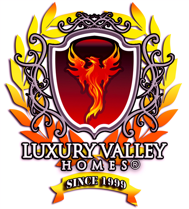 Return to Desert Ridge Phonix Homes Luxury Valley Homes (LVH) page.